The OASE Filtral Premium Fountain Kit can be used to convert the outlet of the Filtral UVC Premium Pond Filters into a decorative fountain. This fountain assembly will screw directly to the outlet of any of the OASE Filtral UVC Premium models. 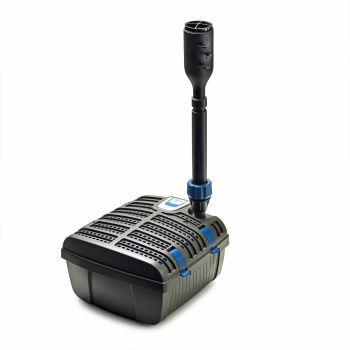 An additional Filtral Aeration Set can be coupled with this kit to convert bypass flow outlet to an air injector. Bypass valves for fountain height regulation. Telescopic riser with 140mm – 270mm scope of height adjustment. Ball end on foot of fountain riser for angle adjustment on uneven ground. Vulkan Fountain Nozzle – Classic 25 jet 2 tier spray pattern. Lava Fountain Nozzle – Water bell fountain pattern. Magma Fountain Nozzle – Arching 5 jet fountain pattern. 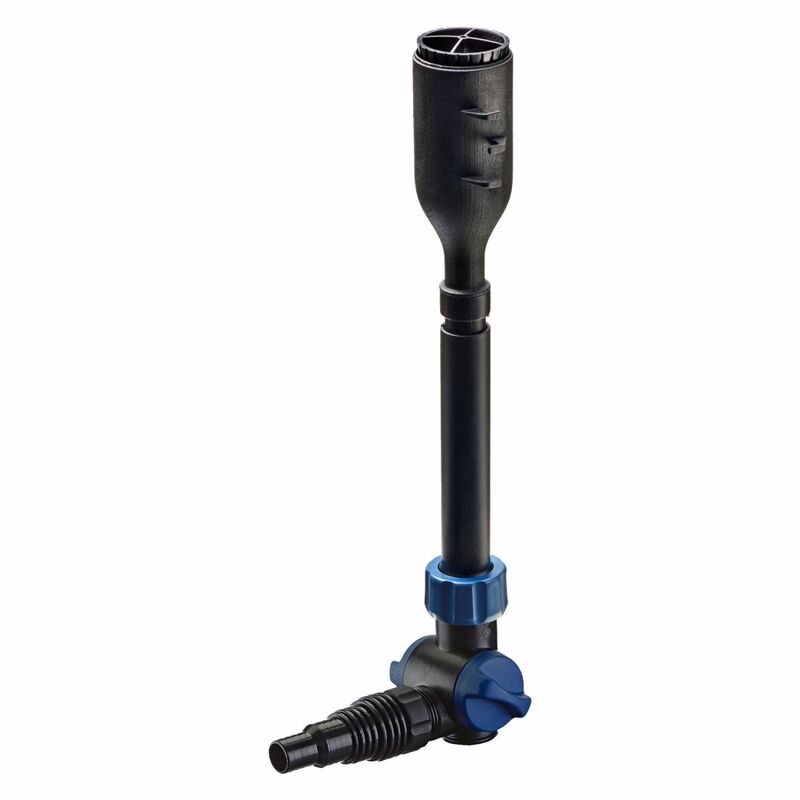 Air hose clip on fountain head for optional accessory Filtral Aeration Set.